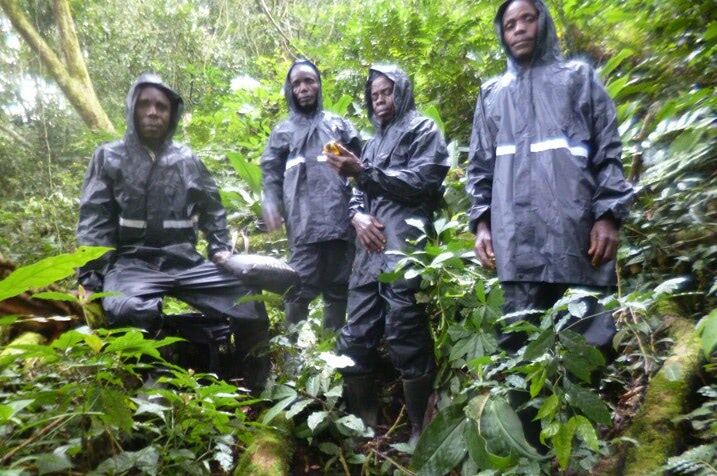 The Gorilla Organization’s team of community rangers have identified an additional 95 eastern lowland gorillas living in the 70,000-hectare Walikale Community Forest. This is momentous news and brings the total number of gorillas inhabiting Walikale to 446 individuals – a 12% increase on the known global population of 3,800. The Walikale Community Forest Conservation Project is an ongoing operation that has been supported by Tusk since 2004 and aims to protect a previously undocumented population of eastern lowland gorillas inhabiting the community forest. The project trains and equips locally employed rangers to conduct regular monitoring patrols and collect biodiversity census data. Currently, the project employs 36 rangers with 12 more due to be hired this year. Aside from identifying the new gorillas, in 2018, the rangers also detected and removed 314 deadly snares. The number of snares found on the forest floor was 80% down on 2017, and this is most likely due to the strengthening of community awareness activities and the continued ranger presence at Walikale. To complement conservation efforts in the field, in 2018 the project conducted 3 sensitization workshops and 24 village meetings, together reaching 4,725 direct people. The meetings focused on environmental issues, promotion of sustainable farming, the benefits of conservation and the intrinsic value of the Walikale forest. Finally, the project continued to support socio-economic development across the region through the maintenance of local roads, a health centre, and schools, the latter included training of 12 teachers and the construction of three new classrooms and a school office. Supported by Tusk Trust, the Walikale Community Forest Conservation Project has been moving from strength to strength and illustrates the many benefits of The Gorilla Organization’s community-led approach to conservation.